As one of the newest bingo sites around on the Lucky Duck network, Becky’s Bingo is one of many sites that’s primed for new customers who are looking to win big via the Cozy Games engine. The site is presented to you by – who else – but a mascot called Becky, who is on hand to guide you through the site and to offer you plenty of opportunities to win big, and win often. Current Becky’s Bingo promo codes will likely appeal to those new customers looking for a great deal to kick off their time here – and with a stack of great games as well as exciting promotions and an all-around brilliant experience, it’s hard to say you won’t find something on offer here that takes your fancy. The site is big, bold and full of character, appealing to casual and seasoned gamers alike – and while the catalogue is largely aimed at those players looking to enjoy bingo most of all, there is a very nice contingency for slot games as well as a few casino experiences, too. Bingo is still a huge draw for many online gamers and, as such, our Becky’s Bingo review aims to show you the promo code and offers to help make these trips online that little bit more affordable. But what else should you know about the site before staking a few pennies of your own? 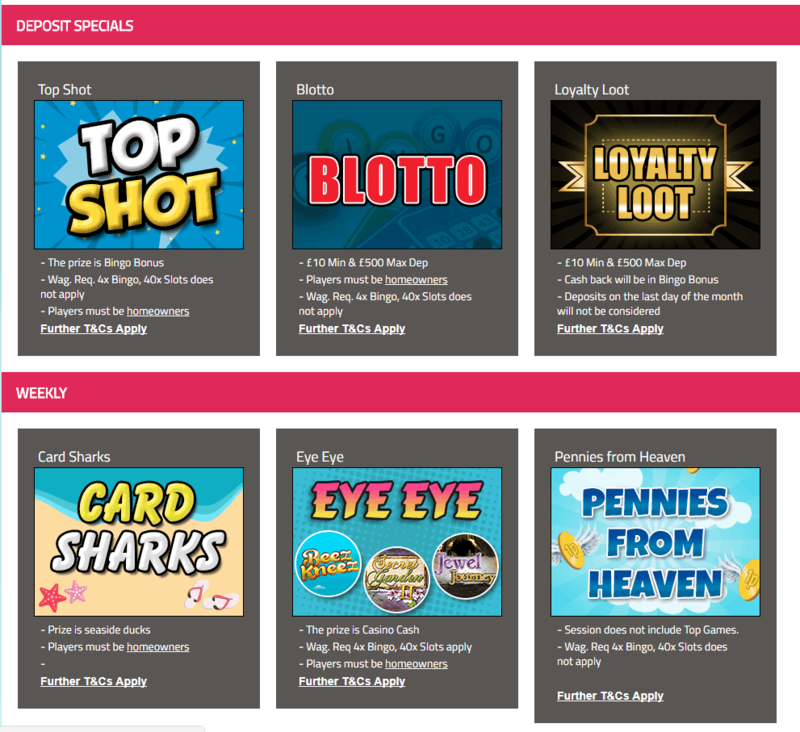 The current welcome offer in April 2019 available through Becky’s Bingo bonus codes will grant you a ton of free bonus credit should you wish to deposit as little as £10 when you get past the login. From just this one deposit you can play with £50 across the site, meaning that you can effectively boost your gaming wallet before you get started – an amazing plus for anyone who is keen to get into a new site or two but is unsure about how much everything is likely to cost. Other promotions that have run previously and will likely come around again include £10 no deposit deals for new customers and cash matching available on further deposits. You can find other sites on the same software such as Big Love Bingo if you are interested in the similar features. Beyond this, the site also grants regular bingo prizes and tied-in deals as you play – meaning it is always worthwhile jumping on board a promotional email list as soon as you sign up. It is always worth bearing in mind that sites like this will also request that you play back a certain amount of money you gain from promo code before you can take any of your winnings away. This is generally to be expected – but there is generally a difference you should look out for if you are intending to play certain games with your free bonus cash. Wagering for bingo games here weighs in at 4x your deposit and bonus – but it leaps to 40x for slot games. This is by no means bad news for seasoned players, though we have seen more reasonable rates to help welcome in new customers elsewhere. There’s a ton of very unique games here as is standard with the Cozy engine and the Lucky Duck network – but this doesn’t mean that more seasoned gamers won’t find what’s on offer exciting or worthy of a quick punt. There’s a nice selection of bingo rooms offering different multiball opportunities – meaning you’re never likely to get bored of the various twists on online dabbing that are on display here. While other sites under engines such as Dragonfish may have a different way of putting these twists across, Cozy Games bingo software has a great way of lining up bingo rooms and free game chances for all comers – there’s something here for everyone. Becky’s Bingo promo code help to make the games all the more worthwhile – though we would like to have seen more of a slant towards the casino elements that are on offer here. This is a site which is largely pivoted towards casual play – this is never a problem – but those gamers looking for a great casino emulation may do better looking elsewhere. Beyond this, there’s every reason you’ll want to snag yourself a Becky’s Bingo login. The Cozy Games engine is fairly unique, and while it may be fairly simplistic for some players – along with the fact that it mainly trades on its own games as opposed to with many big names – we generally like what their sites have to offer. Compared to lower-level basic Dragonfish sites like Sing Bingo and Tip Top Bingo, with our Becky’s Bingo review we feel they offer a nice variety of games with the added bonus of there being a ton of character to boot. We genuinely enjoyed using this site across several platforms and devices, meaning that the software works extremely well regardless of how you apply it – and despite there not being an app available for download just yet, it’s always worth checking out the mobile site – and we will go into more detail on that below. Many different payment methods are catered to here, including UK credit and debit cards (Maestro/Solo, MasterCard, Visa/Debit/Electron) – and you’ll even be able to fund yourself with a few e-wallets too. These are a great alternative to card payments if you are particularly concerned about security, and you may even be able to tie in any deposits into phone bill bingo payments, too, if you’re an avid portable player. You can use PaySafe Card for bingo and Neteller bingo – a nice selection but we would like to see a broader scope in future updates to the site, if any are forthcoming! Withdrawals, as other Becky’s Bingo review sites will advise, aren’t too unreasonable. You may need to wait up to ten working days if you are withdrawing via card, though this may be quicker through other methods. Do also make sure you have at least £25 in your gaming wallet before you make any withdrawals – and, obviously, make sure you’ve adhered to wagering requirements where applicable. Cozy Games are very good on the whole at building fun, flexible sites that can be enjoyed through a variety of different platforms and devices. This means that you can enjoy the site from your phone or tablet as well as your desktop or laptop PC without worrying about losing out too much on content or compatibility. You can even throw in promo codes here, too – there’s no reason for you to stick to the PC for getting into the deals alone. There’s no Becky’s Bingo mobile app just yet – but the mobile site is easy to find and to sign into. Simply navigate to the main site from your chosen browser and device and use your login to gain instant access. There are other brands which do have an app, some include Touch Lucky Mobile and Pocketwin Bingo which you may also want to try out. You’ll be able to sign in and enjoy all of your banking options, all of your favourite games and more besides. All in all, the site makes for a very satisfying portable experience and we doubt even the more seasoned of players will have anything to complain about here. 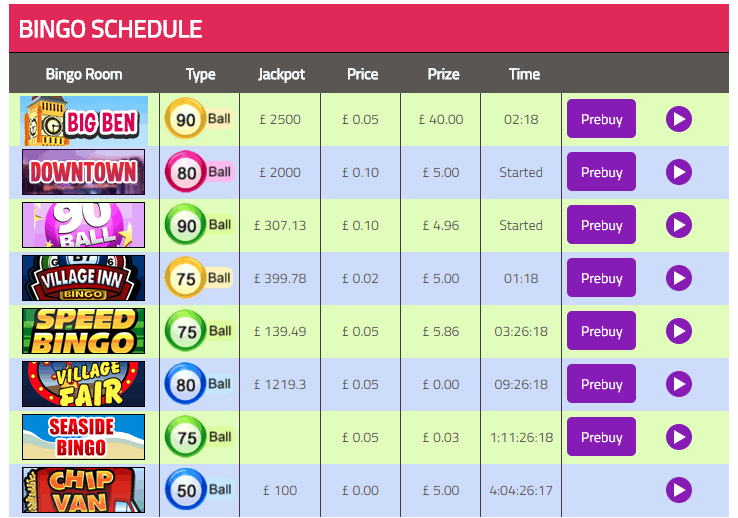 Becky’s Bingo reviews will agree with us on this – it’s a nice little site with plenty going for it, though it will largely appeal to casual gamers who are mainly into their games than their slots or casino. The opening login promotional offers work very well at welcoming you into the site, and there are a number of great continuing deals that we think are well worth keeping an eye out for. If you don’t generally take your games too seriously and you are largely in it for fun, or are simply bonkers for bingo, this is a site that is well worth looking into – at least for the fantastic cash matching. Grab a login through our Becky’s Bingo review and see how you get on!